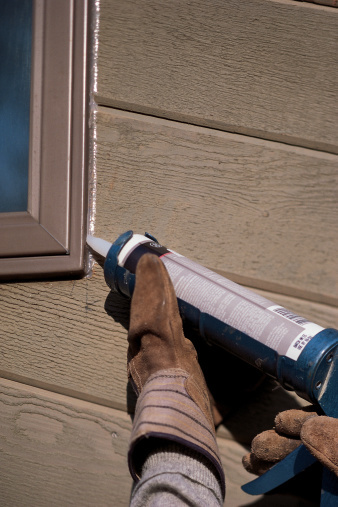 Caulk is a sealant used for filling in cracks around windows and door frames. A caulk seal protects your house from the elements and prevents pests from coming inside. As years pass, the caulk becomes less effective and lets in drafts and moisture. It's important to check caulk seals each year and replace as needed. To do so, you'll need to remove the old caulking first. Fresh, wet caulk is easier to remove than dry caulk. If you drip caulk on vinyl siding, wipe it with a damp sponge before the caulk has time to harden. Removing old caulk from vinyl siding takes more time and care. Because the caulk is hard and set in, you'll need to soften it for removal. Silicone caulk is softer and easier to remove than latex caulk, which becomes hard after it dries. If possible, use a putty knife to loosen silicone caulk enough to peel it off. If the silicone isn't soft enough to peel away, you can apply heat. Heat softens the silicone so it's easy to peel away with a putty knife. You can use wet heat such as a wet, hot cloth, or a dry heat from a hairdryer. When the silicone is soft, you should be able to pry it up with a putty knife and then pull it off using your fingers. Latex caulk is a little more stubborn to remove from vinyl. Soaking the caulk in mineral spirits or rubbing alcohol can help. As the caulk loosens, you can pry it off with a putty knife or utility knife. Be careful not to damage your siding. If the caulk isn't coming off, you may need to soften it some more or use a chemical caulk remover. Most home improvement and hardware stores sell caulk removers. Read the label before buying to make sure a caulk remover is appropriate for use on vinyl siding. 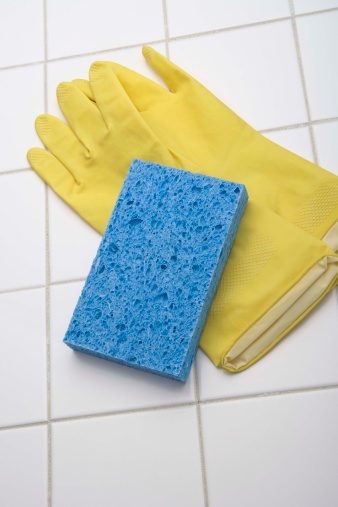 If you're not sure if the product works for your needs, ask a home improvement professional at the store. Once you're home, test the product on a hidden area of the vinyl siding to make sure it won't cause discoloration. When you're ready to get started, apply the caulk remover and wait the designated amount of time (it will say on the label how much time to wait). After the waiting period, take your putty knife and pry up the loose caulk. It should be soft enough to come right off. If it doesn't, apply more of the product. After the caulk is gone, use a toothbrush or putty knife to scrape away any remnants, and wipe with a clean, damp cloth.